I bought my Pilot used in July 2018. I have always loved this body style, and was so excited to find one at a great price. 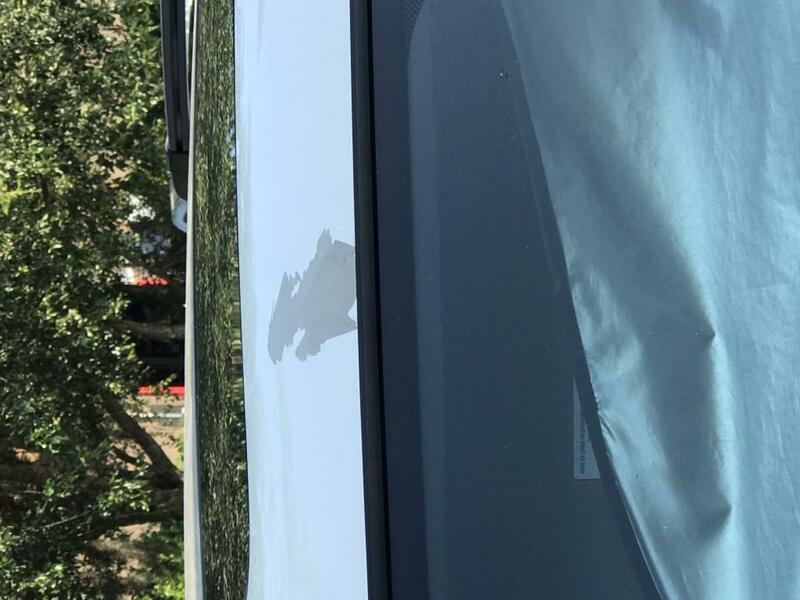 6 months later, I noticed the paint started coming off between the windshield and the sunroof. I contacted a colleague of mine that teaches collision repair and asked him to give me a quote on how much it would be to fix it. At this time is when I found out that Honda has had issues with their paint, especially the white paint, for quite sometime. As he put it, it is a "paint defect", and Honda should have to pay for the repaint, and that the whole roof will need to be repainted. 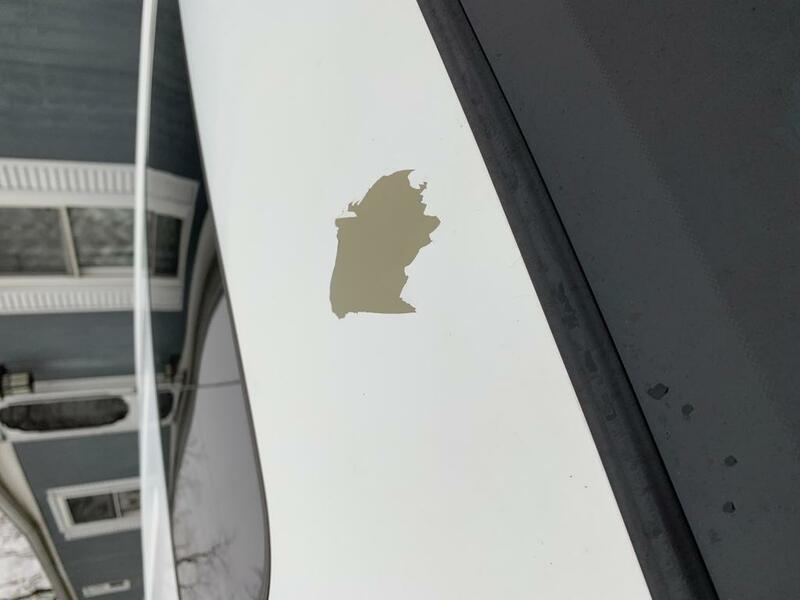 I joined a group on Facebook and learned that I, indeed, am not alone with this, as there are hundreds of us that have this same car, and the paint peeling off in the same spot! Not only this, but 99% of the Pilots were made in Lincoln, Alabama. This is not a coincidence at all. Honda has issues. Honda has been less than kind when contacted. They believe that they shouldn't have to pay for the repaint. I, however, disagree. My Pilot is my first, and last, Honda I will ever own. 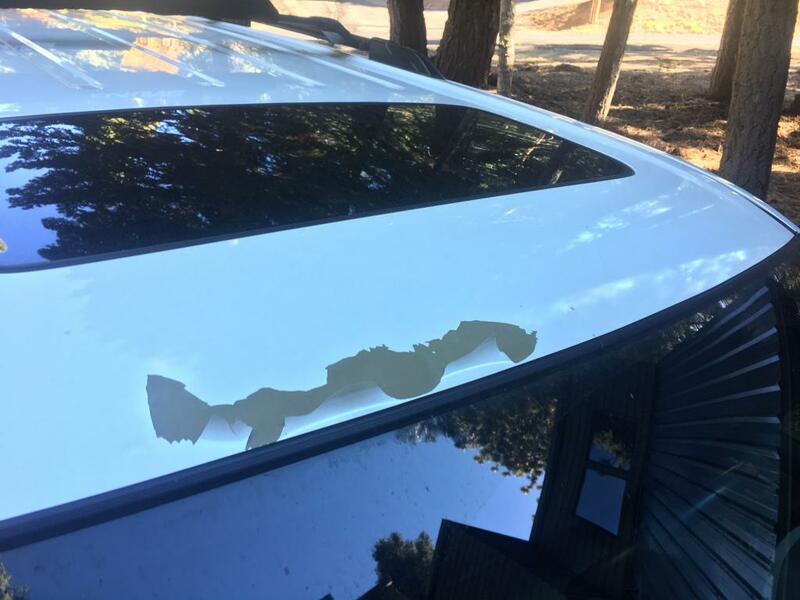 Their products and service are sh*t.
My husband and I recently noticed three large spots on our 2013, white Honda pilot between the sun roof and windshield that the paint is peeling. It was definitely not like this last fall, so must have started this past winter. Has to be a paint defect as we've never seen anything like this before. Paint on roof between windshield and sunroof peeled off. The section was an area of 6" but has increased on every use of vehicle. All paint on roof is delaminating. Honda told me this is not covered under warranty. Estimate for fix is $1500 to $2000 to paint the entire roof. 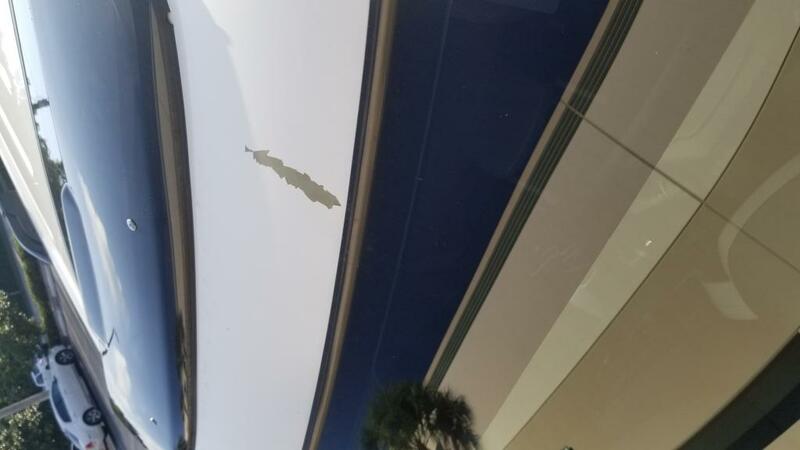 On Feb 6, 2019 a big chip of paint felt off.1 big piece from driver side top of windshield between the moon roof. I called the Honda Customer Service who gave me a case number, then told me that the car has no recall and what did my insurance say? I told them I have not contacted my insurance since I can see it is a known defect in the paint for this car model. I had just Googled it and saw. I have had 3 Honda’s prior one Odyssey that was 12 yrs old no problems at all. So she referred me to my local Honda dealer, which is Honda nation in Valencia, Ca and told me they have to inspect it and submit a claim. I went to the dealership, who was hard to get a hold of. Manager saw it 2 days later. He took pictures and said he will submit the claim to Honda but it is strictly on Honda goodwill, and repair will take 10-16 days and they will not provide a rental. While I was at the dealership one of the rep said his own car had the same problem and another customer came in the day before. All cars had the white paint. It was a defect in the paint. The manager called me a couple of days after told me that damage was $1600 my portion will be $400 and no rental car. He was aware of it is a problem with this Honda model and year, that i have no money to pay both $400 and rental for all the days. I called Honda customer service, was transferred mid sentence and then transferred 5 times. 2 reps were kind and tried to help, but last one said while she was helping me, out loud to another rep, oh call dropped, great and hung up on me??? I had explained it all to them and told them my economic circumstances plus also since it is a well known defect, why should we have to pay at all? This will turn out to be expensive for me. One of the reps told me she would resubmit the claim again for appeal to see if they can help me more. But 4 transfers and dropped calls, not cool at all. I feel this should be addressed publicly and since Honda will not cover the defect completely, knowing that its a defect in the paint we all have it and in he same spot. We should maybe start a lawsuit. I will call again Monday to Honda Customer Service 1 800 999-1009 get this resolved. Same issues as stated previously. 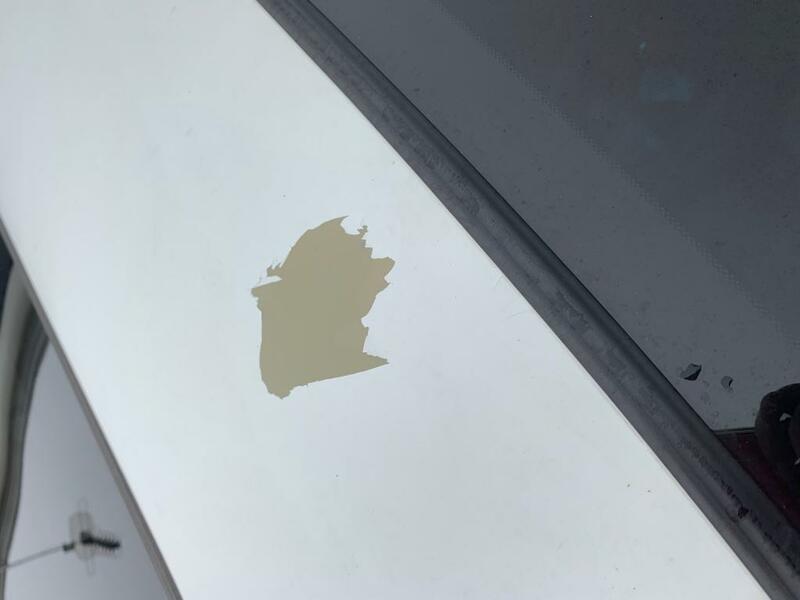 Paint chipping between windshield and sunroof. Brought to an auto body shop and they said it looks like an adhesion issue from the factory and Honda should be responsible. I called Honda and they are unwilling to assist with repair cost. Looking at $1000 to repaint the area. PLEASE PLEASE PLEASE CALL AND REPORT YOUR ISSUE. The more complaints the more likely a recall can be created. 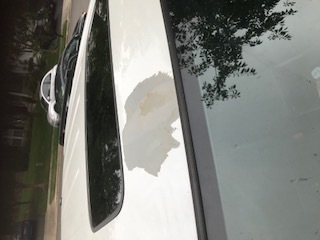 I was completely shocked when I came out of work to find a large chunk of paint missing from the roof of my car between the windshield and the sunroof. As I am looking at the complaints, it is pretty obvious this is a flaw in the 2013white Pilot. I am going to the dealer this week. Wish me luck. It sounds like many of you have been brushed off. It looks HORRIBLE. I am going to be very upset if they will notice this. Update from Feb 14, 2019: So far, the lot I bought it from got Honda to pay $500 of my $1068 estimate. I am going to talk to the on site paint and body manager in a couple of days to see if they will cover the rest. I have done all of my servicing there... And this paint stuff is a complete flaw in the product. I dont feel I should be paying a do e for paint peeling off my car. They said at the lot that they have seen several paint issues. I do NOT understand why Honda will not fix all of these cases 100 percent. MY PILOT IS ONLY 5 YEARS OLD AND THE TOP FRONT OF MY CAR IS PEELING. I CALLED CORPORATE AND THEY SAID THEY DIDN'T HAVE ANY RECALLS ON THIS AND NO ONE HAS REPORTED ANY PROBLEMS. CORPORATE TOLD ME TO CALL MY DEALERSHIP. I RECEIVED A CALL FROM THE DEALERSHIP WHERE MY PILOT HAS GONE FOR SO MANY REPAIRS. THANK GOODNESS I BOUGHT THE EXTENDED WARRANTY, OTHERWISE I WOULD HAVE PAID OUT THOUSANDS AND THOUSANDS OF DOLLARS IN REPAIRS. THEY GOT THE OK TO REPAINT THE ROOF BUT I WOULD HAVE TO PAY 10% OF THE COST AND THEY WOULD NEED IT FOR 2 DAYS. I LOVE MY HONDA BUT THIS ONE SEEMS TO BE A BIT OF A LEMON. SO SORRY I BOUGHT THE TOP OF THE LINE WITH ALL THE GADGETS BECAUSE IT IS NOT A GREAT VEHICLE MAYBE I SHOULD HAVE GONE WITH THE TOYOTA. 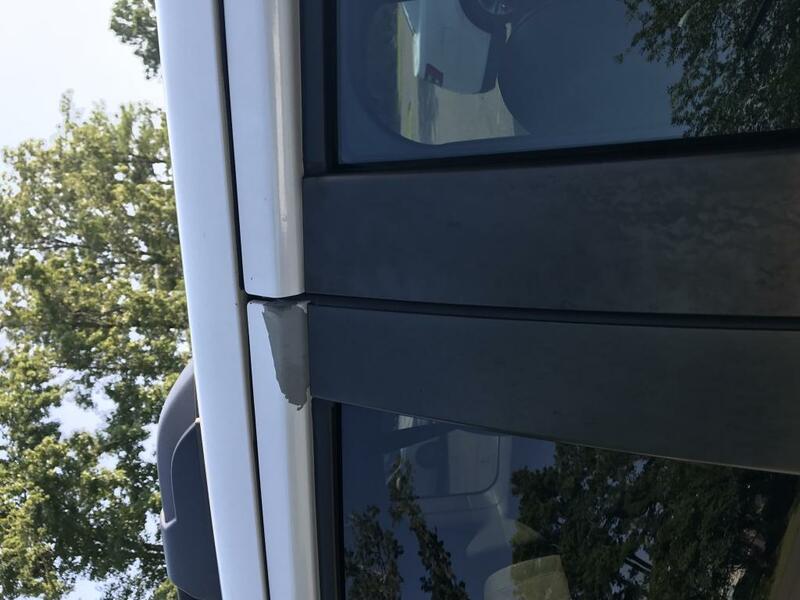 Paint peeling on my 2013 Honda Pilot above windshield and sunroof. Appears that Honda is aware of this problem. My 2013 white Pilot has started peeling between the windshield and sunroof. What a pain. I expected more from Honda. Apparently this is a known problem with the 2013 Pilots. Any suggestions on how to get Honda to help pay for this? Estimates b/w $600-1000!!! My white 2013 Pilot is also stored in the garage and started peeling paint on a trip to Tahoe. I noticed it once we arrived and I know it must have started during the drive from the Sacramento area. It looked like it popped from the altitude like a bag of potato chips. 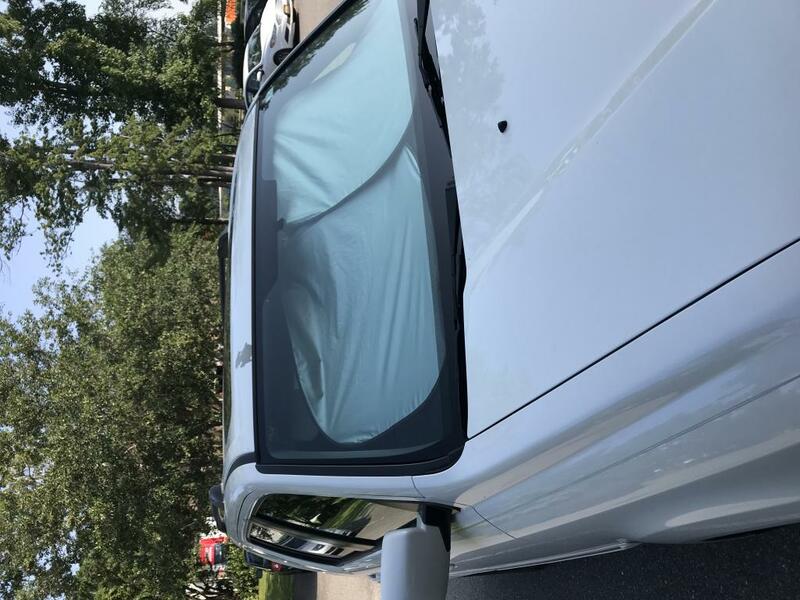 That was in October and now the original area has grown to connect between the front windshield and sunroof and another area has started to blister. The roof of my car that I am still paying for is shedding paint like a reptile sheds its skin. I went to Folsom Lake Honda right after the first incident and the service manager took photos and sent them to corporate... They said it might be awhile until they hear anything on it. After several weeks and the start of the 2nd incident, I called the dealership and they told me the response from corporate was that they wouldn't fix the problem at this time. They gave me the number (800)999-1009 to call Honda directly to make a claim. Their response was the same. They told me because my car (only 5 years old) is out of warranty and there is no recalls on the paint I will have to pay for it out of pocket. I would hardly call this a coincidence that there are 27 complaints of paint peeling in the exact same location with each car the exact color make, model and year. Clearly there was a flaw in Honda's production line the day they were painting the 2013 Pilots white. I would love any suggestions on legal action or the right Honda representative to get this fixed. Put me in the group of Pilot owners with peeling roof paint. My 2013 Pilot's paint first started coming off in 2017. Just a small spot, about the size of a quarter. I touched it up myself. January 2018 another piece comes off. I fixed it too. July another comes off and I look at the internet and see there is a problem across the country. September a very large piece peels off, about the size of a slice of bread. I go to the closest Honda dealership and they report it to the Honda regional rep. He says tough luck without ever inspecting the car or even seeing a picture. The dealerships are no help because the first thing they ask is, "Have you been having the car serviced here?" If you are what they consider a "Good" customer they will plead your case to Honda. This is how Honda decides your case if the Pilot is outside the 3 year/36000 warranty. I have gone to 5 different Honda Dealerships and they all tell me there is a problem with 2013 Pilot "white" paint. They also tell me that Honda pays for some, pays a percentage on some and refuses to pay on others. If you are unlucky like me, well Honda doesn't care. I have called Honda, and sent twitter messages. Honda doesn't care. Shame on you Honda! If I had been told that the paint has a very good chance of coming off the roof after 3 or 4 years, but don't worry Honda "MIGHT" fix the problem, I would NEVER have bought the Pilot in the first place. I will never buy another Honda and I will tell everyone I can my story and they can make their own decision to buy a Honda or not. Maybe we need to get together and start a Class Action Lawsuit against Honda. 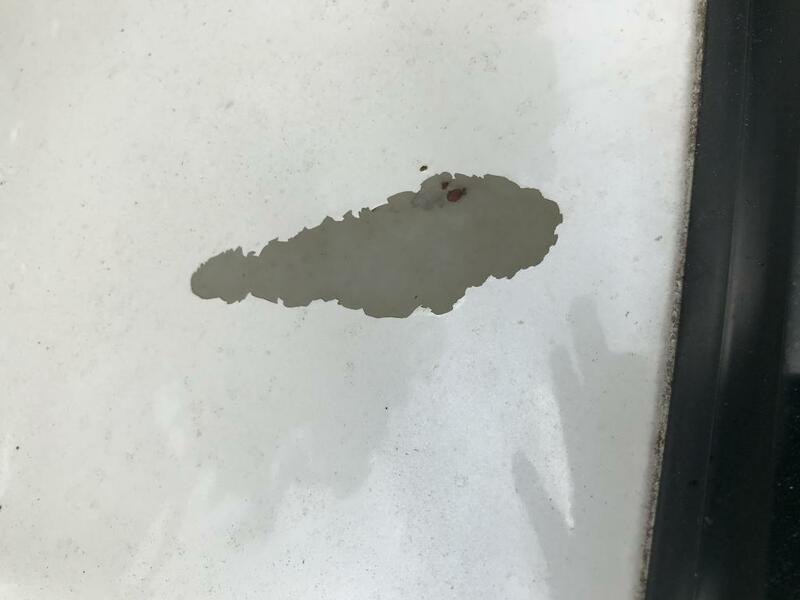 My 2013 white Honda pilot is stored in garage, is washed and waxed regularly, I noticed a small bump in paint between windshield and sunroof above driver side of car. Before I could get it to dealer it peeled open like a blister about the size of a quarter. then continued to grow over the next couple of days seemed like the paint was not sticking to the metal below. By the time I got it to the dealer a few days later it was maybe 2" wide. They said no recall not a defect did I want to book it in to get it repainted. I said this should be covered. Even though I had brought the car used it had low mileage at the time and was only 4 yrs old. This is an obvious defect. They told me call Honda of America. Which I did they said it was not covered. They have had no other complaints of this. Even though I see a bunch here on line. I then had to return to dealer for a rodent eating engine knock sensor wire problem. Which their rodent proof wires do not fix by the way. and while waiting in line behind another White Pilot driver got out and said he thought he was looking in a mirror because he was there to show them the same paint problem. Over the phone they had told them it would not be covered but he brought it in anyway and I told him good luck. He called me later and said his service writer got them to cover 90% of the cost my service writer was kind of a jerk from the get go. Anyone have any ideas?? The paint started peeling off on the roof. My Pilot is a 2013 model. The peeling started this summer, 2017. Bought my 2013 Honda Pilot in November of 2016 from Hendrick Honda in Charleston, SC. Loved it. And still do. 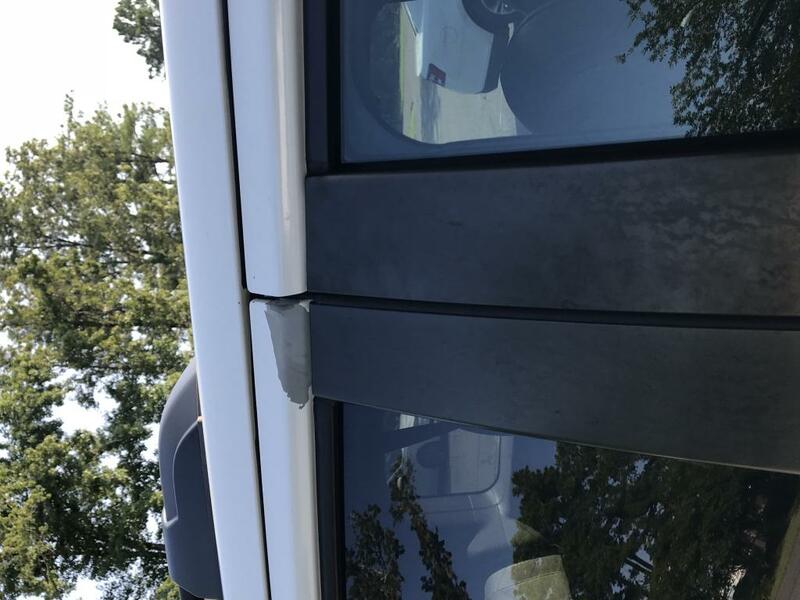 Approximately 9 months after purchase, we noticed a small paint area that was chipping on the passenger side door frame. We contacted Honda regarding the issue and were ignored. A few weeks later, the area between the front windshield and the sun roof started chipping off. A standard problem from what I have seen of other Pilots. It has gotten progressively worse in both areas but specifically the top portion of the vehicle. We again contacted Honda (relentlessly this time) and they clearly have no intention of addressing this issue since we keep getting the run around. We will most likely have to pay out of pocket for an entire car repaint. I don't see the point in just addressing the two areas for fear that it will start happening on other areas and the longer we wait, the more of a chance of the area rusting and a) looking even worse and b) costing us even more money to fix. We have gathered evidence from various websites regarding this issue & presented it to Honda but they stand firm that there is no recall and that there will be no recall for these delamanation paint issues. We have a car that is just a few years old but it looks like we have owned it for 15+ years with the paint chipping. To say we are frustrated would be an understatement! Purchased a 2013 Honda Pilot from Honda of Dulles on March 30, 2013 and never had any issues, mechanical or otherwise. Approximately 3 years after the purchase we noticed paint peeling and chipping in the area between the sunroof and the windshield. We brought the vehicle to the dealer who suggested we file a claim with Perma Plate, the appearance and windshield warranty that they sold us for an additional $200. Perma Plate is a Siskin Enterprise company and a total sham. I scheduled 3 different appointments to have the damage reviewed and repair estimated and the representative never showed. I drove to their location in Leesburg VA and it appears to be a junk yard of old cars with one guy hiding in the office. He had no idea what I was talking about, and claimed he knew nothing about Perma Plate. Like others we have had many Honda vehicles and frankly expected a more professional response to the problem. I want to give the company or the dealership the opportunity to take ownership of the problem and resolve it or I will have to reconsider my loyalty to the brand. Looking at the list of similar paint issues impacting Honda, many listed on the CAR COMPLAINTS website, it is difficult to imagine why a reputable company would choose to ignore the problem. Update from Aug 16, 2018: Very happy to report that Autonation reached out to Honda USA and they agreed to repaint the vehicle. I am really happy with the decision and it helps restore my faith in the brand. Update from Jan 8, 2019: Hi Mandy - AutoNation is the mega Honda dealer in the metro DC area. They contacted Honda corporate and advocated on my behalf to cover the cost of repair. I thought it was the right thing to do and really appreciate the dealership supporting my claim. 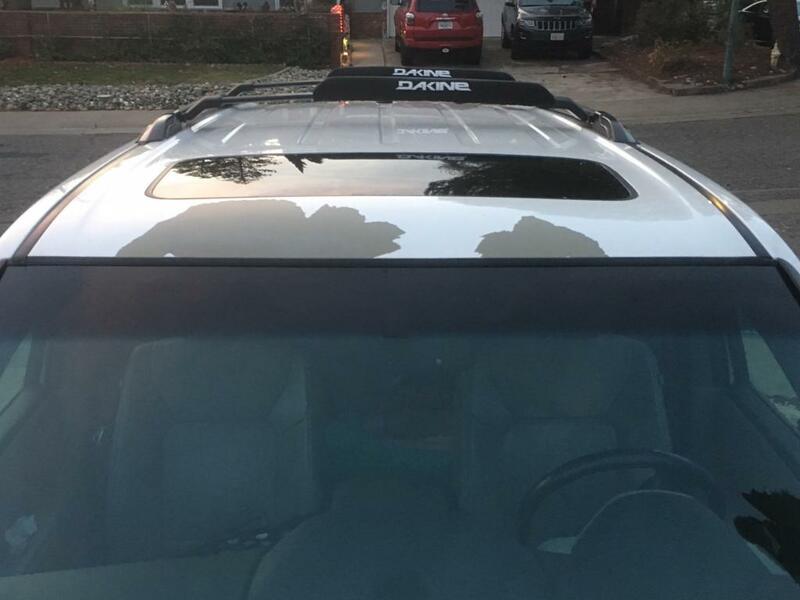 We came out one morning and noticed there was paint missing from the roof right between the windshield and sunroof. Now after researching online, I am disappointed to learn that many, many people are experiencing this problem which is due to poor paint product and manufacturer defect. I intended on this vehicle lasting me 10 years. 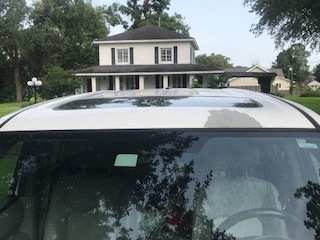 I noticed the roof of my Honda Pilot and the top of the roof above the windshield and sun roof is oxidizing terribly. This should not be happening My car is not that old and is well taken care of. I don't leave it out in the sun and make sure it gets washed/waxed regularly. I called the dealership I purchased the car from and they said there is no recall on Pilots that they know of, but it's a common problem for Civics. Really?? Basically they can't/will not do anything to correct. This is such nonsense because Honda clearly knows it has paint issues with other models. They need to correct this problem. My brother has a 2009 Civic that started to oxidize and Honda took care of it. Re-painted it for free and gave him a loaner. Come on Honda, you need to own up to it and correct this issue. 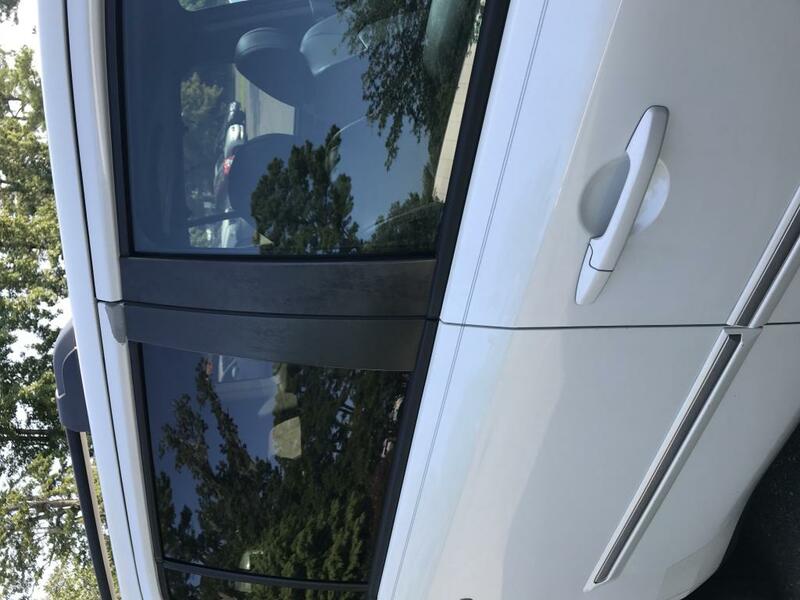 The paint on my 2013 WHITE Honda Pilot started peeling after have it for about 2 to 2 1/2 years. When spoke with dealership they took pictures and said they would get with the manager. I checked back and they said they would not cover it that there was no defect. It must have been a rock chipped it. I have had people approach me telling me that my paint is a defect because they had same thing happened to them with their Honda Pilot. This is getting pretty ridiculous. There should be a recall. When I am driving down the rode and I see one after another White Honda Pilot with the same problem as mine. A small chip in the pain resulted in de-lamination of the paint. The paint was a premium pain that cost additional money. Now it is peeling off and the fix will require the roof to be taken back to where the paint is holding with no guarantee it wont happen somewhere else. The regional Honda rep has made a good will offer to repair but I will need to pay $500 of the $2500 or 20 percent of the cost to fix what is poor materials or poor manufacturing. My family has owned many Honda cars. A Civic, Prelude, Accord, Acura TL, and now this Pilot. This is the first time I have had a problem with the paint and the manufactures response is less than ideal. I had a problem with the transmission in a Dodge Ram truck and Dodge took care of it 100% and it was out of warranty as well. I am disappointed to say the least in Honda's willingness to stand behind their product and quality of their manufacturing. The paint just started peeling over the windshield towards the sunroof. Third Honda we have owned. Never had a problem like this before. Might be the last Honda!